This is the first spring in several years that isn’t marked by the reawakening of the garden in Peckham. It is a curious feeling to be without an established plot and for the tiny arc of treasures that I moved to my Somerset farm to not be in context. I am saved by my studio garden in Waterloo for the time I am in town. I would find it impossible to live in the city without engaging with something living and green and ever-changing in this hostile setting. I went through several steps to work my way up to the garden in Peckham: an alley in Bethnal Green, a roof garden in Bonnington Square and the community garden there we built. 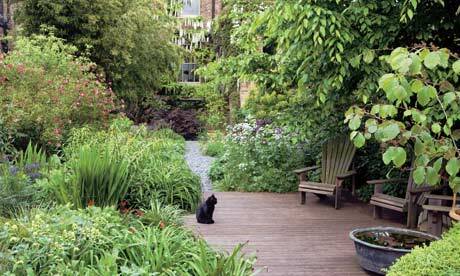 But the garden in Peckham has been my lifeline for the past 13 years. via Beauty amid the sprawl | Life and style | The Observer.